On September 10th, the Mississippi Police Benevolent Association held a political screening for those candidates running for various elected offices in the state of Mississippi. During the screening, Lt. Gov. Tate Reeves demonstrated why his experience and values make him qualified to continue to represent the voters of Mississippi. Lt. Brandon Ashley, a 13-year veteran of the Moss Point (Miss.) Police Department, was demoted to sergeant in December 2013 after his chief took issue with Lt. Ashley's decision not to call out a K9 in regard to an auto theft incident. This bill has passed the legislature and has been signed into law by the Governor. Forty-one JPD police officer plaintiffs represented by the Police Benevolent Association are scheduled to have their settlement checks from the City of Jackson delivered today to compensate them for time that the Department of Labor (DOL) told the City it owed to these officers for work performed from 2009-2011. On Saturday, January 11, 2014, The PBF and the Northeast Chapter of the Mississippi PBA (MSPBA) hosted a fundraiser to show support for the family of fallen Union County Sheriff?s Deputy Clinton Frazier. Together the foundation and the local chapter raised over $9,000 for Deputy Clinton Frazier?s family. The Police Benevolent Foundation's Race for the Fallen race series was created to honor the hardworking and dedicated members of our law enforcement community who risk their lives to protect our cities. These officers are men and women who have taken an oath to protect and serve the citizens in our local communities. The R4TF event recognizes the contributions and sacrifices made by not only the officers, but also their families. 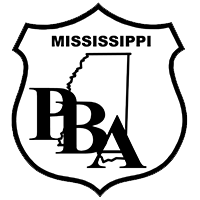 The Mississippi Police Benevolent Association (PBA) has reached a settlement totaling $177,500 to be paid by the City of Jackson to 41 PBA members who were improperly paid by the City. The Police Benevolent Foundation, Inc. and the Mississippi Division of the Southern States PBA are in morning for one of their own and rallying behind the family of Enterprise Police Chief Randy Boykin. The Mississippi Police Benevolent Association is committed to keeping you informed of legislation that may affect your work-life, pay and benefits. This legislation makes it a felony to file a false lien against law enforcement officers and other public officials and employees due to their official actions. STATE EMPLOYEES WILL LOSE APPEAL RIGHTS If YOU DON'T ACT NOW THIS BILL WILL PASS! Act now by sending the Chairman of the committee this bill is assigned to an email message opposing the bill. Traditionally, law enforcement officers have a highly ingrained sense of honor bound duty to assist each other during times of crisis. We normally see this exemplified in the performance of their daily duties, wherein they routinely risk their lives to protect citizens and fellow officers. This is a list of all of the endorsed candidates that the MSPBA endorsed in 2011. We would like to congratulate each of these candidates and we hope to work with them into the future to help make the law enforcement profession better for our members. This is a list of all of the winning candidates that the MSPBA endorsed in 2010. We would like to congratulate each of these candidates and we hope to work with them into the future to help make the law enforcement profession better for our members. A summary of the 2008 Legislative season for the Mississippi Police Benevolent Association. A summary of the 2007 Legislative season for the Mississippi Police Benevolent Association. A summary of the 2006 Legislative season for the Mississippi Police Benevolent Association. A summary of the 2005 Legislative season for the Mississippi Police Benevolent Association. A summary of the 2004 Legislative season for the Mississippi Police Benevolent Association.